Sydney. Colombo. And now Harare. As of now, Lokesh Rahul has scored three centuries in his 6-match international career. The latest one been scored on his ODI debut against Zimbabwe in Harare. The 24-year old right-hand batsman has yet again proved his ability to play big innings. An ability to convert the 30's and the 40's to international centuries. Being the 213th cricketer to represent India in ODI cricket, this inning also saw him becoming the first Indian batsman and 11th overall to score a century on debut. Lokesh Rahul was declared the Man of the Match. Having won the toss in the 1st ODI of India's tour to Zimbabwe, Mahendra Singh Dhoni put the host team to bat. Barinder Sran was out of luck when umpire Russell Tiffin did not rule Chamu Chibhabha out on the first ball that the left-arm medium-fast bowler bowled. However, his constant in-swing got rid of Peter Moor on the last delivery of the same over. It was just the opening for Indian bowlers. Many more wickets fell at regular intervals leading to the below-par total by Zimbabwe. Dhawal Kulkarni got rid of Hamilton Masakadza for 14 in the ninth over when the latter was caught behind. Chamu Chibhabha finally made the long walk back to the pavilion when his off-stump was castled by Jasprit Bumrah. Vusi Sibanda and Craig Ervine's dismissal meant that half the hosts' side was out in the 24th over with the score under 100. With Sikandar Raza and Elton Chigumbura in the middle, Zimbabwe was looking to build some momentum. The partnership crawled to 38 runs when Raza chopped the ball back on his stumps to a Sran delivery in the 38th over. Richmond Mutumbami and Graeme Cremer couldn't do much as the duo fell with the score just over 150. Chigumbura's 65-ball 41 ensured some respectability in the total but even he got out in the last over. Tendai Chatara's dismissal in the penultimate delivery of the innings meant that Zimbabwe was all out with a delivery to go in the innings. Bumrah picked a career-best figures of 4-28. Kulkarni and Sran picked up two wickets apiece. Debutant Yuzvendra Chahal and the other spinner in Axar Patel also chipped in with a wicket each. A circumspect approach in the second innings would have easily handed a victory to India. The only test on board was the test of conditions especially for the debutant opening pair of Lokesh Rahul and Karun Nair. The swinging new ball put through it's paces both the batsmen initially. The tennis ball bounce in the fifth over handed a soft dismissal to Nair who gave an easiest of catch to Raza at short cover. Ambati Rayudu, who was making a comeback into the team walked out at No. 3. 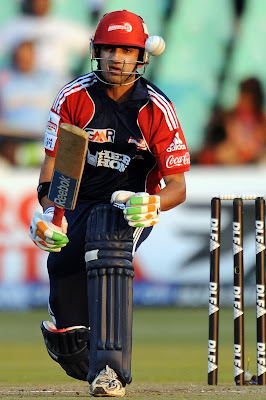 The 30-year old right-hand batsman struggled big time during the genesis of his inning. In the 12th over, Chibhabha went past his outside edge thrice with his out-swingers. India's run rate was under 3 runs per over till the 18th over. The fact that the required run rate was under 4 RPO did not unsettle them. Rahul was firmly batting with a not-so-convincing Rayudu. 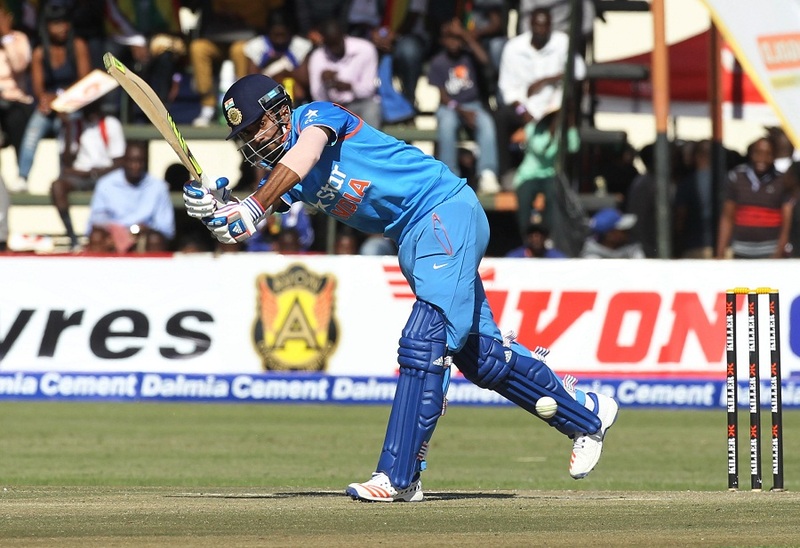 In the 23rd over, Rahul became only the second opener after Robin Uthappa to score a half-century on debut for India. The 34th over saw Rayudu completing his sixth half-century in ODI cricket. India required 20 to win with 12 overs to go. Even Rahul required 20 to reach his century. Rayudu gave as much of a strike as was possible to Rahul but with only two runs remaining for the victory, Rahul needed six for his ton. It was time for him to rewind back to the IPL mode and he did just that. A six over long-on off Masakadza saw him reach a well-deserved century and India reaching a well-deserved win. A second string Indian team had defeated Zimbabwe comprehensively, which showed that how these young players gain from the IPL. A lot of questions are yet to be answered as far as Zimbabwe is concerned. Performances like these will not take them anywhere in the international arena.